Beauty and the Beast is one of Disney’s most popular films, with a musical tour, a show on ice and recently a live-action remake of the film being created. If you are one of the many fans of this film or have children who can sing the songs to you, a trip to the Be Our Guest restaurant in Walt Disney World should definitely be on your to do list. Be Our Guest is one of the most memorable scenes in the film with the enigmatic Lumiere leading the cast including the delightful Mrs Potts and cute Chip in a song and dance routine. Once you have watched the scene you will never look at Restaurant Cutlery that companies like www.heritagesilverware.com/category/cutlery provide in the same way. Your shiny desert spoon suddenly becomes something with magical possibilities. Here are a few things you may be interested to know about the Walt Disney resort restaurant. 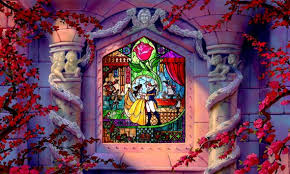 Stained Glass window – The beautiful image of belle and the beast etched into a stained-glass window appear at a number of points in the film and you can see one of these in the restaurant. 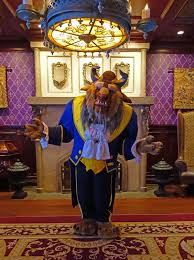 It is a popular spot to have your photo taken with the window as a backdrop and imagine that you are standing in the ballroom of the beast’s castle. Armour that talks – With the restaurant being one of the most popular on the resort site it is understandable that naturally it can become quite noisy inside. But if you listen carefully whilst you are standing in the line waiting to collect your breakfast or lunch you may hear the suits of armour talking! Wine – the Be Our Guest restaurant is the only one in the Magic Kingdom that serves alcohol, possibly also adding to its popularity. There are several types of wine on offer with each one bottled especially for the restaurant. Say hi to the Beast – During the dinner service you can find the Beast wandering around greeting all of his guests, so why not take the opportunity to say hello. You can also take the chance to have a photo take with him in the ballroom area. Choice of location – There are three themed rooms in the restaurant that you can choose from – the Rose Gallery, the West Wing and the Ballroom. In the Rose Gallery you will find the Belle and Beast music box, in the West Wing you can see the portrait of the young prince and the magical rose encased in glass and finally in the Ballroom you can find the high painted ceiling with two spectacular chandeliers.